Gascoyne Resources has placed doubt on its future after incurring a $47.2 million loss in the six months ended December 31 last year. The loss means that the company’s liabilities now exceed its assets by around $30 million, resulting in a material uncertainty “that may cast significant doubt on the group’s ability to continue as a going concern”, according to the company’s auditor Grant Thornton. For point of comparison, in the previous corresponding period for 2017, the company incurred a loss of $1.98 million. 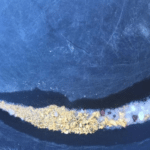 The company’s losses are primarily attributable to issues at the Dalgaranga gold project in Murchison, Western Australia, which poured first gold in May last year. Gascoyne stated in a March 27 report that Dalgaranaga’s losses were the result of “poor reconciliation to geological models during the half-year resulting in significantly lower production than planned”. 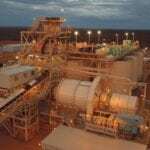 The company also cited the redesign of the project’s Gilbeys deposit (currently being dewatered) as a contributor to the downward revision of the company’s production estimates. Gascoyne introduced nightshifts at the operation earlier this month to improve ore productivity. “Mined grades have materially improved through February and into March to date,” the company stated in its operational update. The company’s trading has been suspended since March 18 due to not lodging its results by the March 15 deadline and remains in suspension pending an equity raising. It has also renegotiated the terms of its $12 million repayment to NRW Holdings, allowing Gascoyne an additional six months to June 30, 2020 to repay the contractor. 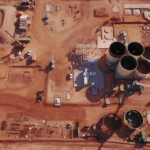 Gascoyne’s production guidance for the first half of the 2019 calendar year has been reduced from an initial target of 40,000–45,000 ounces to 29,000–34,000 ounces. The guidance for the June quarter is set at 17,000–22,000 ounces at an all-in sustaining cost of $1550–1875 an ounce.